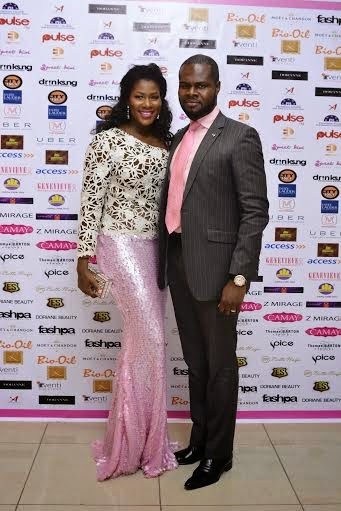 Couple Love;Stephanie Okereke and Hubby Linus Idahosa Step out for Genevieve Mag's pink ball.. This was their look for the Genevieve Ball that held recently..I think they nailed it! #Gorgeoustogether!